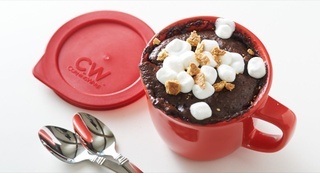 We asked 25 of Canada's most talented food bloggers (and FBC Members) to come up with a variety of comforting and holiday-inspired recipes to showcase CW by CorningWare. In part 1, we showcased 5 sweet recipes featuring the flavours of Autumn like apples and pumpkin. Then, it was all about One-Pot Pasta Comfort. The third series in the collection was proteins and veggies for a hearty Winter meal. This fourth series is sweet and savoury comfort dishes that'll make you happy and smile from a full tummy. Click on the photo and it’ll bring you right to the recipe, enjoy and bon appetit! This post is brought to you by CorningWare.